Ernest Hemingway is the most famous American novelist I know. He appears on the on all the top ten author (English books) lists that I have ever read along with William Shakespeare, Charles Dickens, JK Rowling and George Orwell. 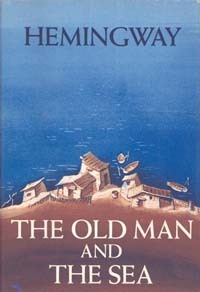 The Old Man and the Sea is one of the most amazing books I have ever read. This book is a novella that was written by Hemingway in Cuba in 1951. The Old Man and the Sea was awarded the Pulitzer Prize for Fiction in 1953 and contributed to Hemingway receiving the Noble Prize in Literature in 1954. Karen, thank you for sharing this post!